Russia's Paralympic team is busy adjusting to a new sport. Sledge hockey appeared in the country just 12 months ago, but the squad is already aiming for a podium place at the 2014 Sochi Paralympic Winter Games. An ice rink, six players in each team and hockey sticks – it is almost like regular ice hockey. 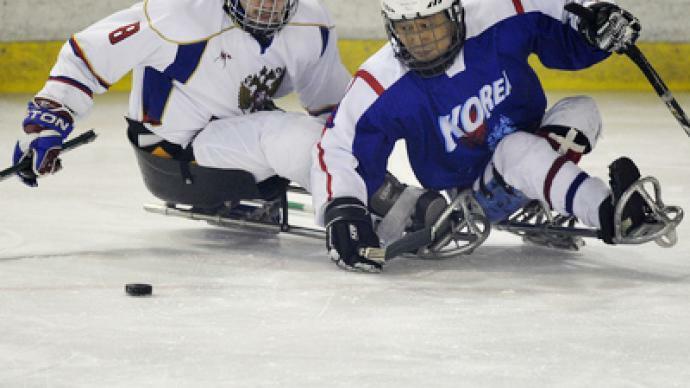 But this is called sledge hockey, and it involves players with physical disabilities. 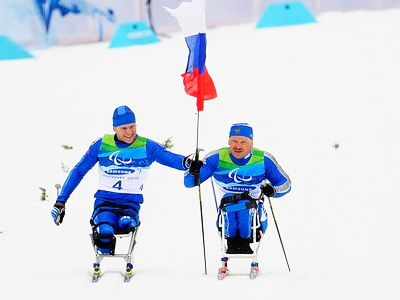 One of the most popular sports in the Paralympic Games program, it is only one-year-old in Russia. The first ever national championship took place in 2009. While the first international test for the Russian team was this weekend's friendly tournament in the Moscow Region. The home side faced rivals from Norway, South Korea and the Czech Republic. Russia's lack of experience showed and they were struggling to contend with their opponents. However, afterwards, bronze Paralympic medalists Norway gave credit to the hosts. A bright future of sledge hockey in Russia is under no doubt by the Russian Paralympic Committee. And the national sledge hockey team will hope to get more investment and draw even more attention, as they aim to win medals at the Paralympic Games of 2014 in Sochi.